PONDEMONIUM 2016 REVIEW "LEADING THE CHANGE!" As has become expected Aquascape offered up a packed agenda for pond professionals of every type, background, and level of experience. The beautiful Q Center (known for their great food!) was the setting where pond retailers, distributors, designers, installers, and service providers all had programming designed for them as well as the amazing “off hours” networking experiences which often times will yield the most golden nuggets of information being sought by pros as well as relationship building creating friendships. Pondemonium kicked off with a full day Leadership Boot Camp training event. The boot camp headed up by the “Pond Mom” Lauri Mitchell was designed to boost leadership skills for business owners and foremen as well as energize employees. 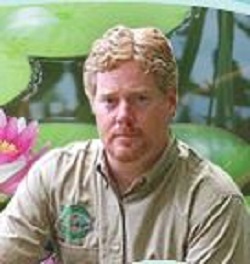 The boot camp was followed that evening by a dinner hosted for the “Top Frogs” of the industry at the amazing Aqualand, headquarters of Aquascape Inc. 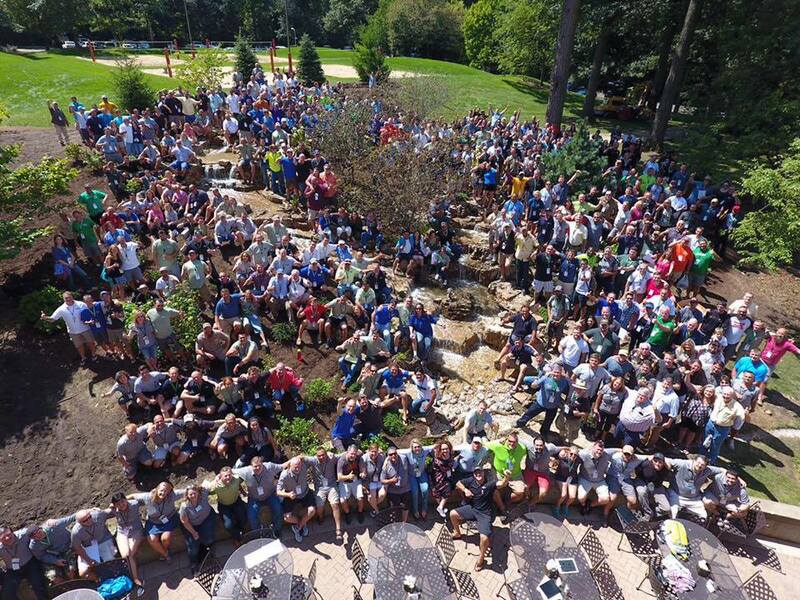 The following days of Pondemonium kept pond professionals busy with plenty of field trips, classroom time, and hands on training working side by side with some of the industry’s top builders such as Ed Beaulieu and Brian Helfrich, and an assortment of award winning pond artists. Waterfall contests were held, and rock balancing displays were quite the hit this year as well! At the end of all the building activity the Q Center was left with an amazing world class waterfall display and some very zen rock balances. Meanwhile indoors and elsewhere the networking and education was at full speed. Keynotes were given by Greg Wittstock aka “The Pond Guy”, and former Navy Seal Jim O’Connor. Presentations were given on new product showcases, business marketing, pond retail, construction management, pond design, even a wet lab on fish health with Dr. Erik Johnson, as well as a myriad of other topics hosted by pond pros at the round table discussions. Pond tours visiting some of Aquascape’s amazing installation were available, as well as some recreation at a Top Golf facility and a game night. Aquascape ramped up the final hours of Pondemonium with their award ceremony honoring the dedicated professionals in the industry for their hard work and creativity with the very top honors in 2016 going to Bernie Kerkvliet from Skyline Ponds for “Conservationist of the Year”, Alan Decker from Decker’s Landscape and Aquatics for “Pond Artist of the Year”, and Joe Phagan from Living Waterscapes for “Businessman of the Year”. The event rounded out with the annual Blowout Bash with music by The Realm, a super group with the pond industry’s own Ed Drohan of Alter Ecosystems banging them drums! Really there were not enough walls for this dragonfly to observe everything, a fly on the virtual wall can only see so much of an event like this, even with compound eyes! Maybe a live stream into Pondemonium will help those who cannot attend in the future (HINT!!). 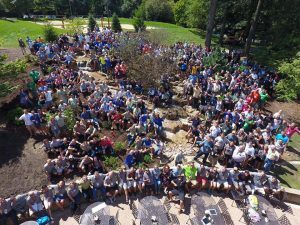 Even without the live stream (HINT), and without attending, it was easy to see that Pondemonium 2016 was a smashing success helping to make the 25 year anniversary of Aquascape Inc. all the sweeter I’m sure. Congratulations to the Aquascape team and all of those in attendance, award winners or not, on another great industry event making our industry stronger, better, healthier, and closer as a group. This “dragonfly on the wall” is already looking forward to seeing what Pondemonium 2017 brings!